That's right folks, D.A. 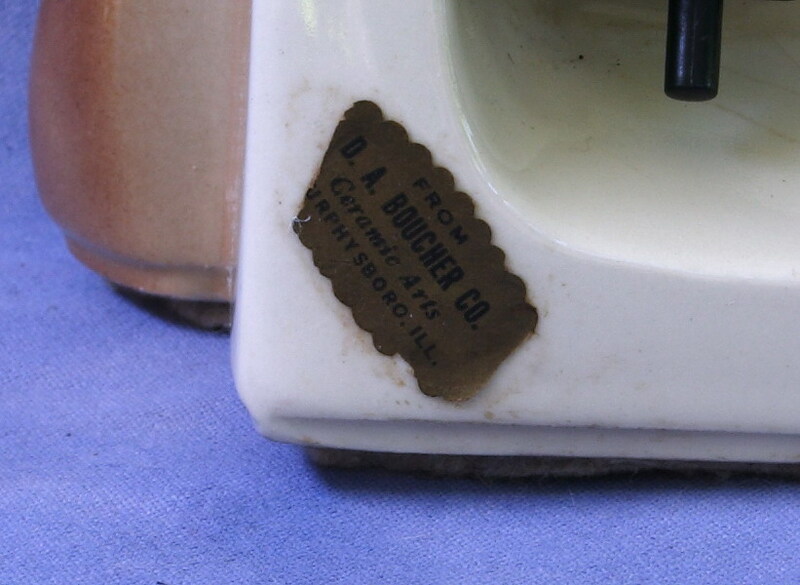 Boucher is yet another "mystery manufacturer", as I have had no luck in finding any information on the company. I've no doubt that they produced several designs of TV lamps, but until examples are discovered with the foil label in place they will remain unattributed. I just love to see the results when ceramic designers cut loose... particularly with these artsy abstract designs! The label on this lamp shows it to have been made by D.A. 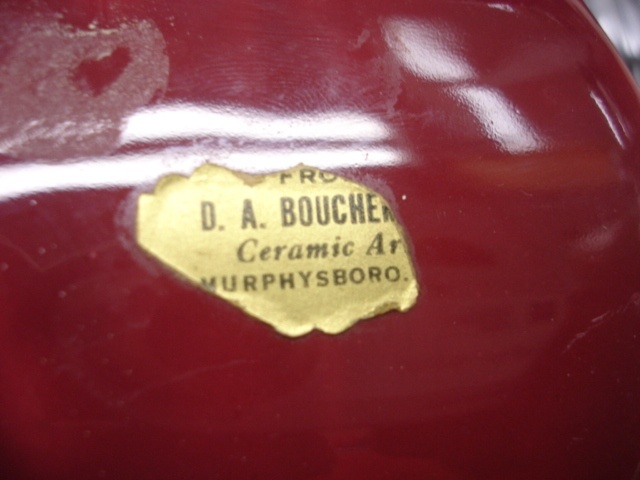 Boucher Co., and appears to have come from Murphysboro, Illinois. 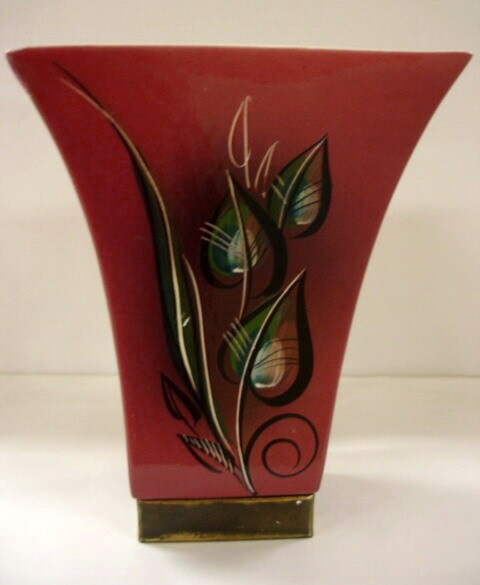 In contrast to the Boucher TV lamp above, this is a simple vase-like design. 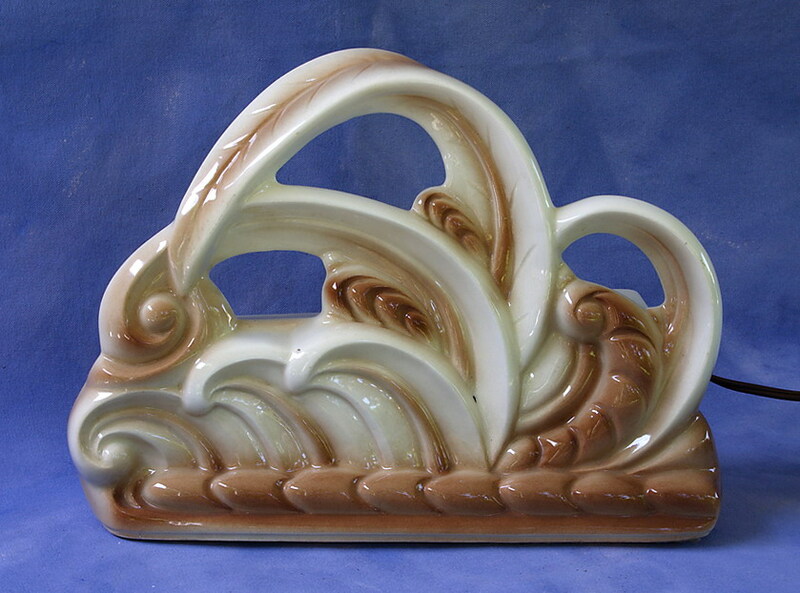 Curiously, it has what looks very much like a Sascha Brastoff design on the front! Photo courtesy of George Martin of Little Valley, NY. Part of the D.A. Boucher label is present on the back.